"Do more than belong, participate. Do more than care, help…"
in our community for over 60 years! event planning, grant writing, technology, holiday boutique, and more. 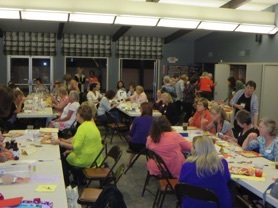 Our chapter meets in the morning on the fourth Tuesday of the month September through June, although dates may change to accommodate holidays. We also enjoy social activities together throughout the year. We welcome you to join our volunteer members of diverse backgrounds, ages, and occupations. Become part of our legacy of volunteerism, gain friendships, and make a difference in your community. Annual dues for an Active member is $85 (with a one-time materials fee of $40). To join please complete our online Membership Application or email vpmembership@alarcadia.org. for more membership information. 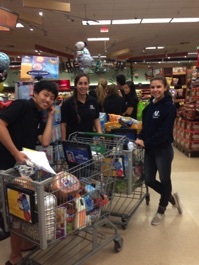 Assisteens is a co-ed auxiliary that provides leadership and community service opportunities for high school students. Assisteens staff the Book Buddy Program, and our Bargain Box Thrift Store on Saturdays. Throughout the year, Assisteens provides various programs for children, seniors, and families, as well as support Operation School Bell® and other chapter programs. Membership is open to teens entering 9th - 11th grades. Assisteens Applications for Membership are accepted starting February 1st for the following school year. Assisteens dues range from $55 to $80 and members are required to complete 35 hours of community service and membership activities each year. 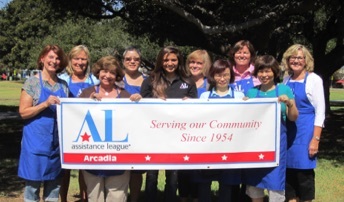 For more membership information contact assisteens.arcadia@gmail.com. The next application period will begin February 1, 2020.
chapter and its philanthropic programs. complete 25 hours of service each year and dues range from $65 to $80 annually.